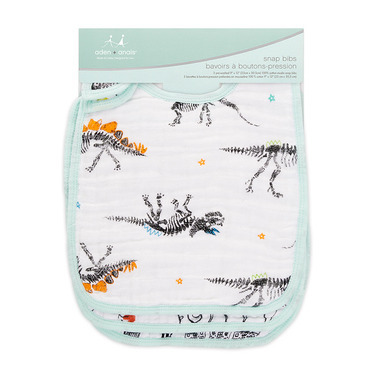 aden + anais Classic Snap Bibs come in a pack of three, 100% cotton muslin snap bibs. 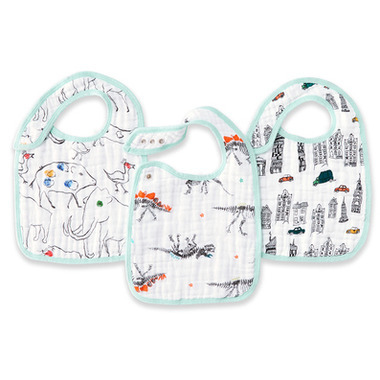 The easy to care for snap bib is made with three layers of aden + anais' signature soft, durable muslin. Three snaps in the front make it a cinch to snap on and off while ensuring a long, lasting perfect fit.